Use the controls to the left to limit which trips are displayed on this page. This page lists trips sponsored by the Boston Chapter. To find trips sponsored by other chapters, use the club-wide trip search page. 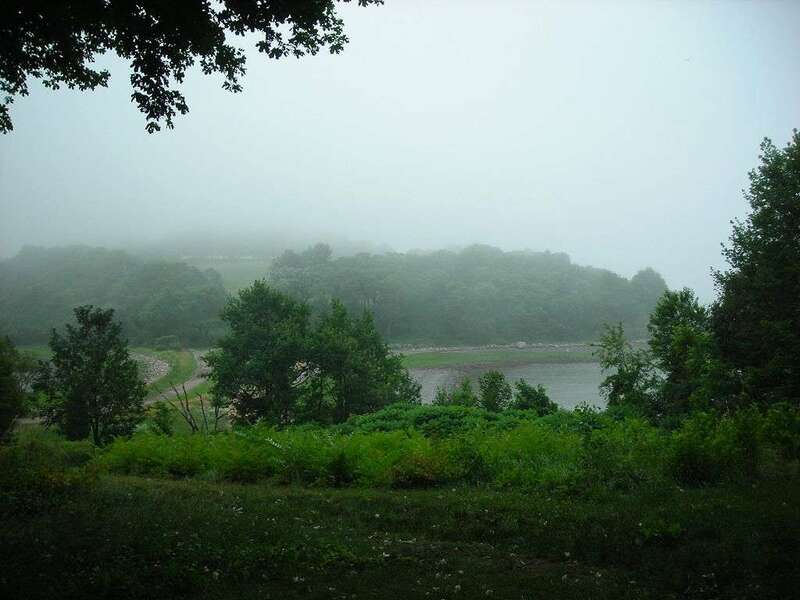 Join AMC Boston Families on a BHP level 3 hike of approximately 3 miles. We will depart the Houghton Pond area on the red dot trail to Buck Hill, then return via the North Skyline trail. Red dot hikes in the Blue Hills cover rugged, hilly terrain providing a more challenging hike. This hike is appropriate for school-aged children ages 7-12+, preferably with some recent hiking experience. The Houghton Pond recreation area is a possible post-hike family activity with a playground, concession stand, swimming and picnic area. Join a small group of AMC Families at Cardigan High Cabin for the night. Hike in two miles with 1450' elevation gain. The cabin is just under a half mile from the summit of Mt. Cardigan (3,155') w/great views. Begin at Cardigan Lodge and hike 2 miles (1,450 elevation gain) to Cardigan High Cabin. Drop overnight gear and continue to the summit. Return to the cabin for games/activities and meal prep. The cabin has a composting toilet and wood stove for heat. Sunday hike back to Cardigan Lodge. Enjoy this classic hike across one of the most beautiful ridges in the White Mountains. Ascend the Falling Waters trail to Little Haystack, traverse the Franconia Ridge going over Mt.Lincoln to Mt.Lafayette, then down via The Old Bridle Path. 8.9 miles, and over 4,000 feet of total elevation gain. This is a strenuous hike, best for kids age 9 and up, but a classic and beautiful and we know some of you and your kids can do it. Registration required. We will help you assess if you and your kids are ready for this spectacular adventure. This will be a long, but very beautiful special day. Jeanne has led trips for 45+ years for summer camps, college outings, Sierra Club, and AMC, among others. Jeanne is Past Chair AMC Boston Family Outings and a YOP (Youth Opportunities Program) trained leader with Advanced Wilderness First Aid Training. Jeanne leads hiiking, backpacking, XC Ski, snowshoe, and canoe trips, among others. Jeanne also leads for AMC Adventure Travel, having led to Switzerland, Peru (Machu Picchu), and Morocco and has trips coming up to New Zealand and Fiji/Tonga. Meet at 9:00 AM on Sunday morning at the Topsfield Fairgrounds PARKING LOT Entrance on Rt. 1 in Topsfield MA. If you are coming from the south, take Rt. 95 to Rt. 1 in Topsfield. Continue driving north on Rt. 1. You go down a long hill to the bottom where Rt. 1 crosses the Ipswich River. It is not obvious that you have crossed the Ipswich River, look carefully. Immediately ahead on the right is the Fair Grounds Parking Lot Entrance. You should see a number of vehicles there with canoes on the roof. This trip is ONLY available to participants of the Spring Hiking Program. Join us to hike Hedgehog Mountain, located in the Sandwich Range and on the "52 With a View" list. There are several ledges with excellent outlooks deeper in the range, weather permitting. We will hike a loop via the UNH trail (4.8mi/1350' climb). The trail is mostly gentle, with shorter rough/ledgy bits and some exposure. We might have to opportunity to add on a few more miles to another viewpoint--this leaves from the parking lot, so it will be completely optional! Morgane is a 4-season leader and has been leading trips with the AMC since 2016. She usually does day hikes and hikes at a moderate pace. She is currently working on her NH 4000 footers. She speaks fluent French if you ever want to get some practice on the trail! Read more about Bike Truro! This trip is ONLY available to participants of the Spring Hiking Program. We'll meet on Saturday morning. We'll hike for 3.8 miles and 2,200 ft of elevation to the Kinsman Pond campsite. We'll then have some lunch, set up our tents for the evening and continue our hike to the summits of North and South Kinsman (2.5 round trip). 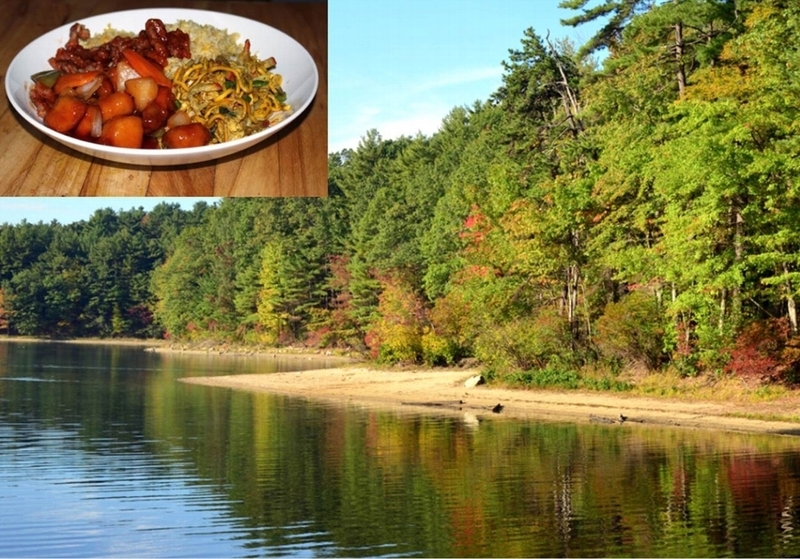 We'll return to our campsite to enjoy our dinner and fantastic views of the pond and the mountains. The following morning, we will descend back to our cars. We'll choose our return route depending on how we feel after breakfast. This trip is ONLY available to participants of the Spring Hiking Program. Elevation is 4,802 feet with a moderately steep slope. Mt Moosilauke is the western most 4000 footer and the tallest 4000 footer in the region between Franconia Notch and the Connecticut River Valley. The open summit has great views in all directions, with views of many of the 4000 footers, as well as views west to the mountains of Vermont and Canada.7.9 miles and 2600 feet of elevation gain. Meet in the parking lot behind the Wayland Town Building at the Southwest corner of the intersection of routes 20 and 126. (41 Cochituate Rd) at 5:45 for a 6:00 pm start. This trip is ONLY available to participants of the Spring Hiking Program. Our primary goal is to cover ~6.5 miles and ~2,100 feet of elevation gain to the summit of Mt. Osceola (4,340 feet) via Mt. Osceola Trail. Depending on trail conditions and ability of our group, we might proceed to summit East Osceola, which adds an additional 2 miles and 1,000 feet of elevation gain (for a total of ~8.5 miles and ~3,100 feet of elevation gain). A large open ledge at the peak of Mt. Osceola affords excellent views, and is a terrific picnic/siesta spot. 2 mile hike on easy terrain. Mission: This forty-five acres of natural land is home to plants, streams, glacial boulders, and wild animals large and small. It is our mission to protect and care for wildlife habitats, trails, forests, streams, and wetlands. The sanctuary is a place of tranquility and self-reflection. It loves rocks, trees, and birds. In that loving, we find nourishment for our spirits and our souls. This trip is ONLY available to participants of the Spring Hiking Program. Come join us on this hike for one of the best views of the southern presidential mountains, including Mount Washington, (to the north) and of Crawford Notch (to the east) if the weather cooperates. We will hike for 3.7 miles and the elevation gain is 1,550 feet. This is a great hike to prepare you for future intermediate hikes. We might have to opportunity to add on a few more miles to another viewpoint--this leaves from the parking lot, so it will be completely optional! Meet at Bedford Library, 7 Mudge Way at 5:45 for a 6:00pm sharp start. Moderate 13-15mph on a 20-22 mile ride through Bedford/Carlisle Group ride. Helmet, bright clothes, and bike in good condition required. Rain cancels. We will be staying at Mountain Fare Inn, in Campton, NH. Hike on Saturday and Sunday. Saturday evening, we will eat dinner at a local restaurant prior to attending "Titanic the Musical" at Jean's Playhouse in Lincoln, NH. "Titanic' swept away the 1997 Tony Awards...winning Best Musical, Best Script and Best Score. $250 covers 2 nights lodging, 2 breakfasts, restaurant dinner, and theater ticket. Ls. This trip is ONLY available to participants of the Spring Hiking Program. This is an intermediate backpack to Guyot campsite. Length of the trip 7.5 miles one way and ~ 2500' elevation gain, with possible additional trips to West Bond, Mt. Bond and Bondcliff. You don't need to have any prior backpacking experience, but you have to be in a good shape and able to hike 7 -10 miles a day. Join the leaders for a classic White Mountains loop with a stay at the AMC's Greenleaf Hut. On day 1, we'll hike up Falling Waters Trail, passing many waterfalls, and then along the Franconia Ridge to Little Haystack Mountain. We'll then continue on the Franconia Ridge Trail, which is above treeline and part of the Appalachian Trail (AT), over to Mt. Lincoln and Mt. Lafayette, two NH 4,000 footers. From Mt Lafayette, we'll hike down to Greenleaf Hut for dinner. This trip is ONLY available to participants of the Spring Hiking Program. Climb beautiful Mt. Pierce (4312 ft), one of NH's 4,000 footers. This hike will be a 6-mile round trip expedition to amazing views of the valley, Mt. Washington, Mt. Eisenhower, and northern Presidentials (weather permitting). The last tenth of a mile is above treeline. There will be 2,400 ft of elevation gain. This trip is ONLY available to participants of the Spring Hiking Program. Come join us to hike Mt. Jackson, a 4000 footer named after Charles Jackson, a NH state geologist of the 19th century. We will hike via the Webster-Jackson Trail. The hike will be an out and back with a total mileage of 5.2 miles and the elevation gain will be 2,547 feet. Weather permitting we will have nice views at the summits. Join us for a scenic 2 day/1 night backpack into the Taconics, located in the corner of northeastern Connecticut and southwestern Massachusetts. This hike will follow the AT and is listed as one of New England's best multi-day trips in "AMC's Best Backpacking in New England." An early start will be required on Saturday in order to cover the 11.6 miles and reach the preferred campsite (Race Brook Falls) at a reasonable time. On Sunday morning, we will break camp and hike 5.3 miles to the trailhead parking at Jug End. After leaving the Corporate world several years ago, I now split my time between work in retail and helping people enjoy the outdoors through hiking, camping, back packing. This trip is ONLY available to participants of the Spring Hiking Program. Join the leaders on a beginner/intermediate trip (overnight at the hut!!) to AMC's best kept secret: one of the best located huts in the White Mountains. Carter Notch Hut surprises most with its intimate and unimaginably beautiful setting. We will hike 3.8 miles to reach this hut and encounter a world of rock jumbles, towering cliffs, and tranquil mountain lakes. East Providence to Bristol RI and back. Leisurely 30-35 mile ride at an average pace of 12-14 mph on a paved rail trail along the eastern shores of Narragansett Bay. Lunch stop in Bristol by the Bay - home to one of America's oldest Fourth of July celebrations in the U.S. Stimulate your senses as we cruise by Del's lemonade stands and the best ice cream place this side of Somerville. 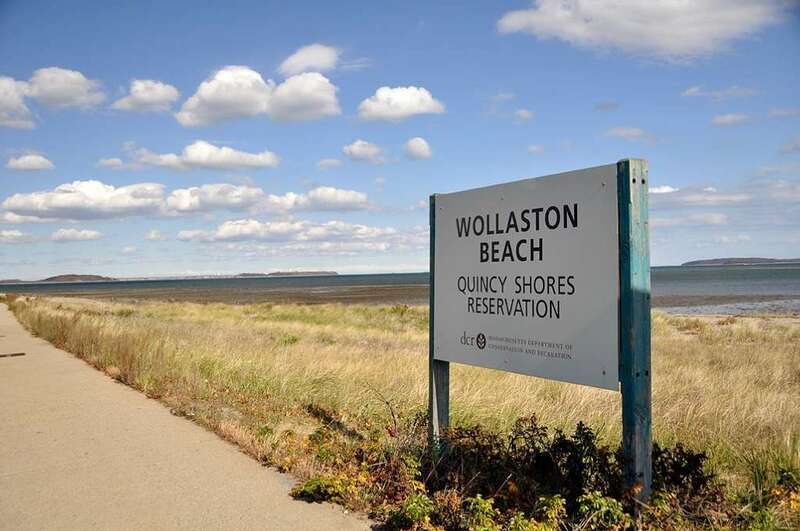 Enjoy stunning views of the Ocean State shoreline. Side trips to Colt State Park and Audubon boardwalk depending on time and interest.